Looking for the wholesale pillow company New York that provides pillows which are firm enough yet soft enough, and just the size and shape you need – but thought you’d never find? We’ve got them! From bed and hotel pillows to custom pillow inserts, and cushions and specialty pillows, too. We manufacture and import only the most luxurious fluff! Our New York Pillow Factory – Pillows Deluxe has a stock of pillows which are designed for those in need of restful sleep. We use the finest material to give you a better sleep. Our skills are not generated by chance. Our team has been professionally trained in manufacturing the various pillows products. So, find the greatest range of pillows right here. Find your perfect pillow from our New York Pillow factory. Our family business has been turning out the stuff of your dreams since 1995. Located in upstate New York, our pillow company manufacture and import all kinds of fluffy goodness. Our wholesale pillows inserts and cushions are stuffed with the finest quality of natural filling or non-recycled poly-fiber. We stand behind our pillows (yeah, they’re that comfy). Give us a ring and order your wholesale shipment today! Here’s the thing about sleep; due to different positions whilst you slumber, the same pillow does not every person suit. The firm pillow is best suitable for side sleepers, while soft pillows are perfect for the stomach sleepers among us. If you’re a back sleeper, you should check out a medium fill pillow to support the natural curve of your upper spine. 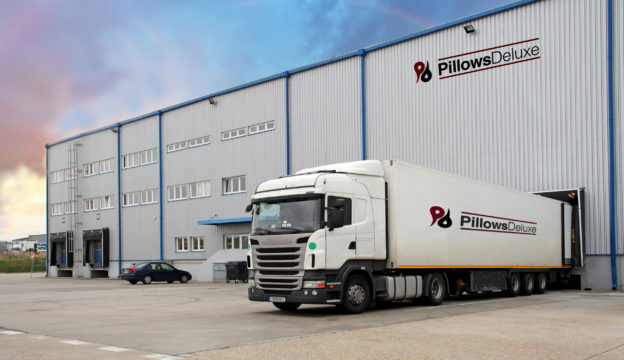 As pillow wholesalers, we provide the best pillows in the industry to make our customers sleep happy!